Would you rehire a former employee who was fired for misconduct or performance issues and even convicted? If so, you join the Internal Revenue Service which seems more than willing to give a second chance to misbehaving and poorly performing staff. The IRS rehired 10 percent of former employees who had been terminated or under investigation for a substantiated conduct or performance issue. This federal agency, which was mired in controversy during the Obama Administration for targeting conservative groups with extra scrutiny, failed to fully consider the past conduct and performance of workers looking to be rehired. Think of a bank teller who steals from the bank one week and then comes back asking for a job the next week. You can choose to ignore their theft, but you do so at your own peril. Of the nearly 7,500 employees hired from early 2015 to the end of the first quarter of 2016, more than 2,000 of them previously worked for the IRS. However, according to an audit of these hires, about 200 had records that most people would find questionable. The majority (86) of these employees had ridiculously excessive absences and workplace disruption issues or failed to follow instructions. About a dozen of them provided false employment forms and documents or omitted prior convictions and terminations. Another dozen had tax issues. Then there were the very serious problem cases. One rehired employees had misdemeanors for theft and felony for possessing a forgery device. Another rehire threatened his co-workers. Given the substantial threat of identity theft and the magnitude of sensitive information that the IRS holds, hiring employees of high integrity is essential to maintaining public trust in tax administration and safeguarding taxpayer information. Some of these rehires repeated the same or other unwanted behavior once they were back on the job - demonstrating that they were unrepentant about their prior behavior and had no desire to do better. This is not the first time that the inspector general highlighted issues with the hiring process at the IRS. They released a similar report a few years ago, and the IRS agreed to make changes to their hiring process. 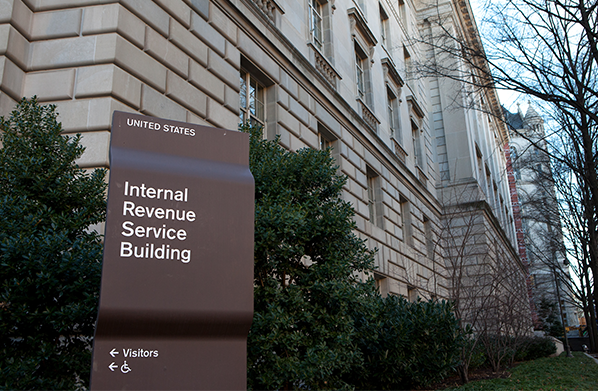 Then in 2016, Congress passed legislation prohibiting the IRS from rehiring former employees without taking into consideration their prior conduct. Yet, here we are again. As the inspector general highlighted, these IRS workers have access to a wealth of private information on individual taxpayers, corporations, and organizations. In the wrong hands, that information could be used in harmful ways. They are public servants and we have an expectation that those stewarding public resources are trustworthy and competent. It’s time that leadership at the IRS stop making excuses and fix the holes in their hiring process to ensure that bad apples don’t keep slipping back in to spoil the whole bunch.